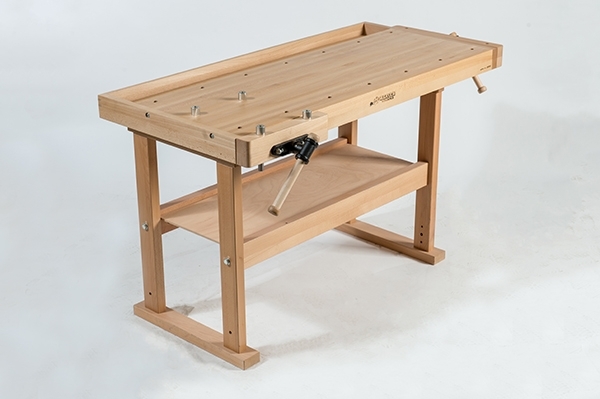 This European-made Deluxe model Beaver Workbench is designed for woodworkers looking for a strong bench for use in limited in workspace. It’s made of high quality European beech hardwood for durability and a long service life. The large top is 1 5/8″ thick, contributing to working stability. 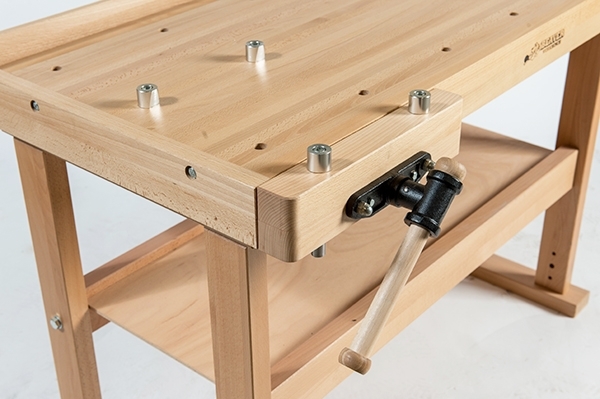 The bench has a 4 3/4” thick apron with two cast iron Acme screw vises. The jaws of the front vise are 15.5″ wide and the end vise is a full 22″ wide for extra-large workpiece strength. 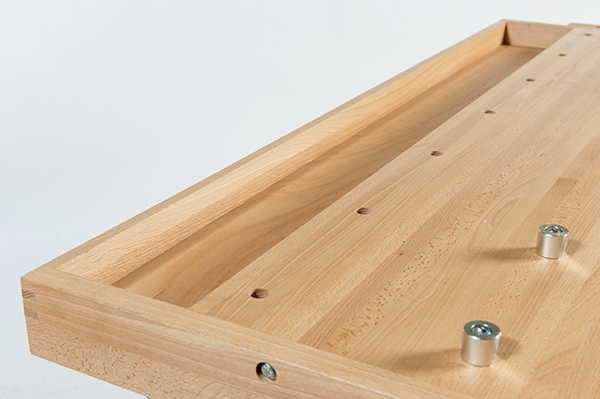 The 59” x 27.5″” work area includes 20, ¾” bench dog holes and has a trough at the back of the bench for holding tools. Four round steel dogs included. The vises will add an extra 6.25” to the length and width of the top in the closed position. The bench itself weighs in at 143 lbs. plus the weight of the vises.